FS Andrew Benentendi Topps life size baseball card hung above team store 1/1! 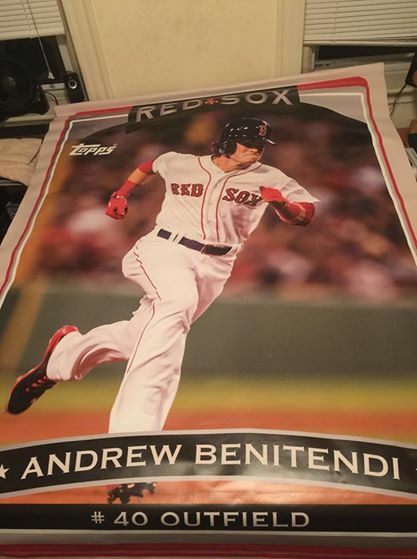 Thread: Andrew Benentendi Topps life size baseball card hung above team store 1/1! Andrew Benentendi Topps life size baseball card hung above team store 1/1! This life size vinyl Topps baseball card/poster hung above the Red Sox team store on Yawkey Way! (before his number change). Incredibly unique and huge - one of a kind. Nice condition - no rips or tears. $225 pick up in Boston Fenway area due to huge size!